What is it about this collection that makes me swoon? Is it the nature themes, the beautiful crafting or the sweet, quaint designs perfect for a lovely childhood? I think all of these factors come into play with the infinitely appealing Go Home Junior My Escape range. 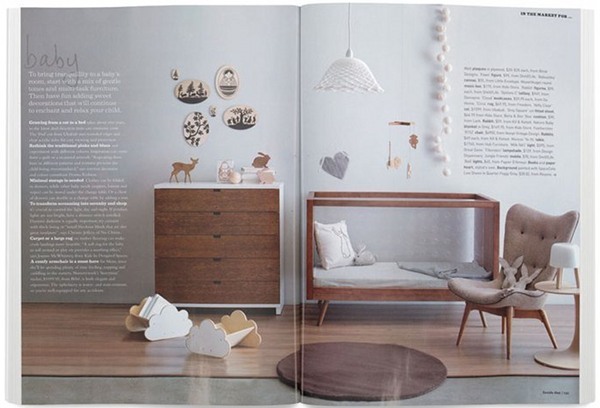 We’ve featured My Escape cushions and soon you can have these delicious little floor libraries, as featured in Inside Out magazine alongside an Ubabub cot! 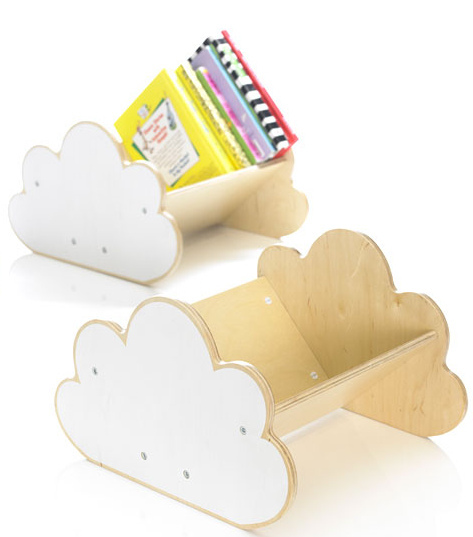 Encourage your toddler to tidy up early in life with these easy-to-manage, easy-to-reach bookcases – they can grab a book and go, and pack them away with a sense of satisfaction! 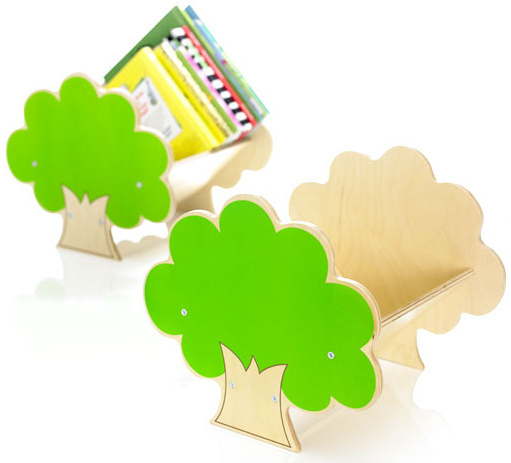 Bookcases come in two designs – the tree or the cloud – and you can pre-order now for $59.95 from Urban Baby for delivery in late March. They co-ordinate with the cushions and table tents, also available from Urban Baby.